Dr. Frederick Baehner is a pathologist primarily located in San Francisco, California. His main specialty is pathology. He received his medical degree from University of Kansas, School of Medicine. Then he completed residency and fellowship at UCSF. 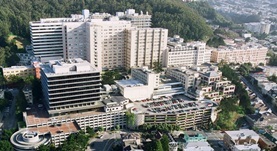 Dr. Baehner is affiliate with UCSF Medical Center in San Francisco and San Francisco General Hospital and Trauma Center. American Board of pathology certified Dr. Baehner is anatomic pathology and clinical pathology. Dr. Frederick Baehner has contributed to 3 publications. A Prospective Comparison of the 21-Gene Recurrence Score and the PAM50-Based Prosigna in Estrogen Receptor-Positive Early-Stage Breast Cancer. Alvarado, M. D.,Prasad, C.,Rothney, M.,Cherbavaz, D. B.,Sing, A. P.,Baehner, F. L.,Svedman, C.,Markopoulos, C. J.; Adv Ther. 2015 Nov 28. A 17-gene Assay to Predict Prostate Cancer Aggressiveness in the Context of Gleason Grade Heterogeneity, Tumor Multifocality, and Biopsy Undersampling. Klein, E. A.,Cooperberg, M. R.,Magi-Galluzzi, C.,Simko, J. P.,Falzarano, S. M.,Maddala, T.,Chan, J. M.,Li, J.,Cowan, J. E.,Tsiatis, A. C.,Cherbavaz, D. B.,Pelham, R. J...; Eur. Urol.. 2014 May 20. Lobular neoplasia of the breast revisited with emphasis on the role of E-cadherin immunohistochemistry. Dabbs, D. J.,Schnitt, S. J.,Geyer, F. C.,Weigelt, B.,Baehner, F. L.,Decker, T.,Eusebi, V.,Fox, S. B.,Ichihara, S.,Lakhani, S. R.,Palacios, J.,Rakha, E.,Richardson, A. ...; Am. J. Surg. Pathol.. 2013 Jul.